The Cyclepedia.com Kawasaki Mule / ATV / Utility Vehicle CV Joint Boot Replacement guide is an online manual featuring detailed full-color photographs with step-by-step procedures performed and written by a veteran factory trained ATV technician. 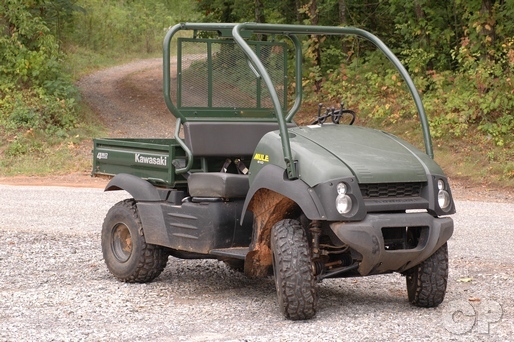 The vehicle used for this repair is a 2005 Kawasaki Mule 610 KAF400A 4×4 however the basic procedures apply to many other makes and models of Kawasaki Mule, Side by Side vehicles, ATVs and similar Utility Vehicles with CV joints. 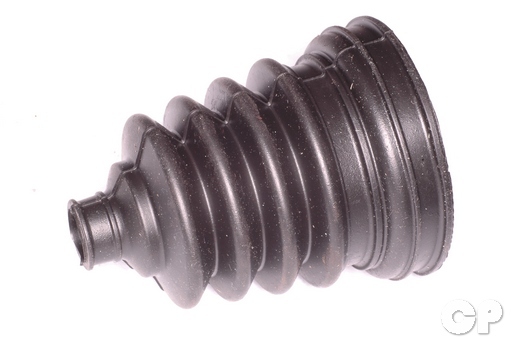 Access the Kawasaki Mule 610 KAF400A 4×4 CV Joint Boot Replacement Guide Now- CLICK HERE! Dealers can access this manual through our Cyclepedia PRO Product. If you are a dealer and would like access to all of our online manuals for one low price please Click Here. 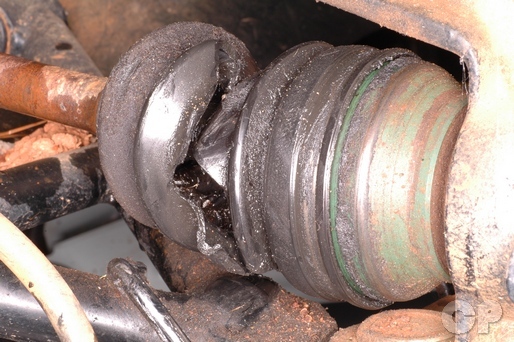 Does your CV joint boot look like this? Better replace it before you destroy the CV joint bearings and have a more costly repair. 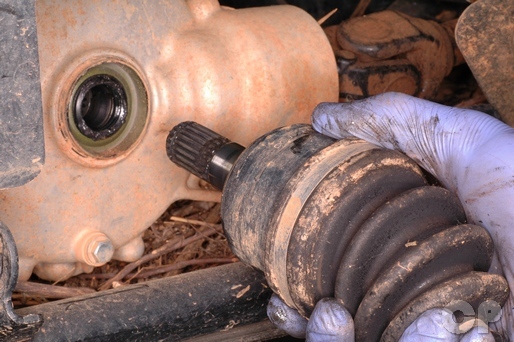 This manual will help you remove your damaged CV joint boot and replace it with a new one. Getting Started – We discuss the tools and parts needed for a successful repair procedure. Wheel Removal – We show you how to remove the wheel/hub. 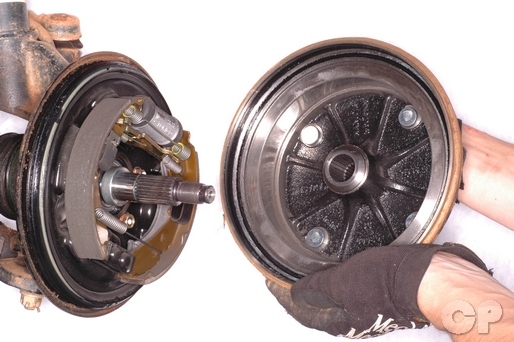 Brake Component Removal – We show you how to remove the brake system. 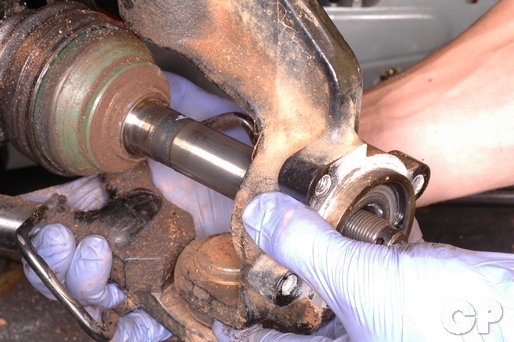 Suspension and Steering Removal – We show you how to remove steering and suspension components to get to your axle. 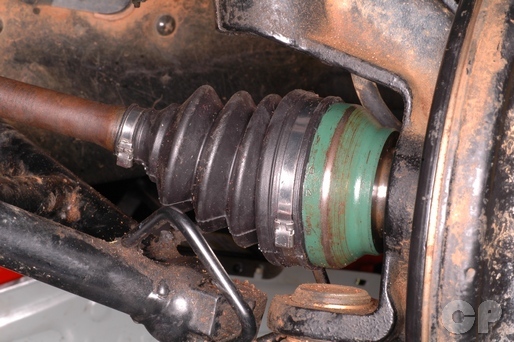 Axle Removal – We show you how to remove your axle to get at the CV joint boot. 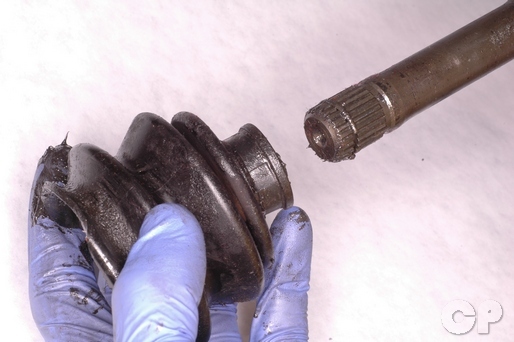 CV Joint Removal – Boot Replacement – Finally, we show you how to remove and replace the boot properly. Parts Diagrams / Ordering – Online parts schematics with pricing information for Kawasaki and other OEM vehicles. I used the cyclepedia.com online guide in repairing my Kawasaki Mule CV and it saved me a lot of money!! – Joe G.